Opened as the Grand Central in 1915, seating 750 in a conversion of the upper floors of an existing warehouse. 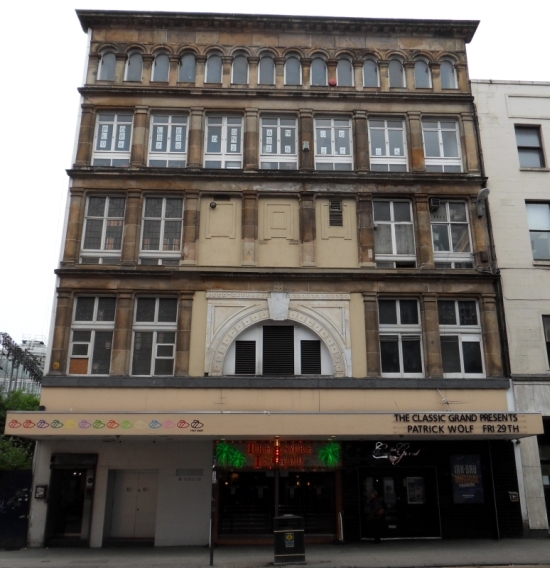 The cinema closed in 1966, and lay empty for several years, before re-opening as the Classic Grand in 1973. This used only some of the original cinema space, and sat 365. The name changed again to the Cannon Grand in 1985, before finally closing as the Curzon in 1992. Since then, the building has been used for an amusement arcade and nightclub. The interior of the building was also badly damaged by a fire in 2001. The building is listed Grade B by Historic Scotland. The cinema portion of the building has now re-opened as the new venue, the Classic Grand.